Thirteen months ago OCZ announced its intention to acquire Indilinx, the SSD controller maker that gave Intel its first taste of competition in the consumer market in 2009. Eight months later, OCZ launched its first post-acquisition SSD based on Indilinx silicon. Today, just five months after the launch of the Octane, OCZ is officially releasing the Vertex 4 – based on its Indilinx Everest 2 silicon. In less than a year, OCZ has brought to market more Indilinx powered controllers than Indilinx did in the previous three years. It's rare that you see the fruits of acquisition so quickly, but if there's anything OCZ's CEO Ryan Petersen is good at it's pushing for an aggressive schedule. 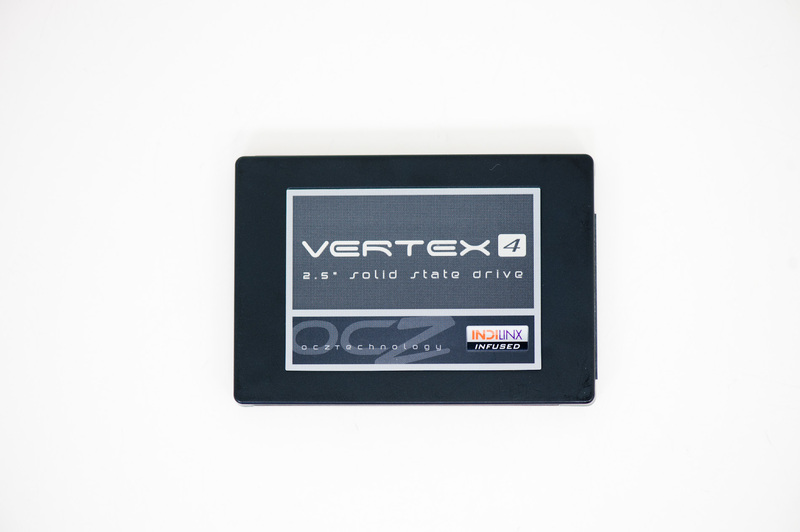 Rather than call this drive the Octane 2, OCZ went with Vertex 4, indicating its rightful place at the top of OCZ's SSD lineup. The implications run even deeper. It marks the first time in two years that a Vertex drive will ship without a SandForce controller inside. Make no mistake, while Octane was a shot across SandForce's bow, Vertex 4 means war. While OCZ continues to ship tons of SandForce controllers, the future for the company is Indilinx. The Vertex 4 is just the beginning. 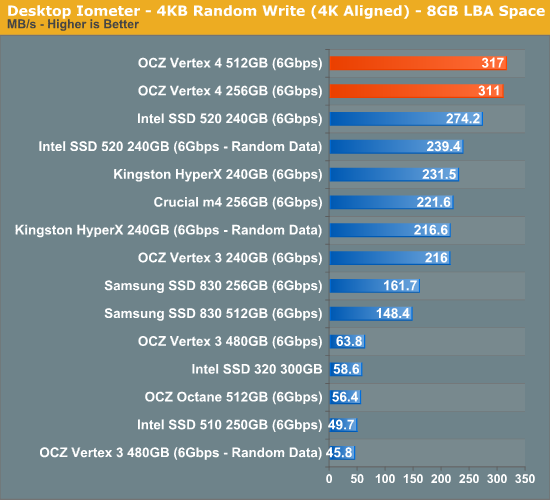 OCZ will continue to ship Vertex 3 in parallel, and should a future SandForce controller make competitive sense to use OCZ will definitely consider it, but the intention is to build the fastest silicon internally and use it as much as possible. Random write speed is nothing short of incredible. 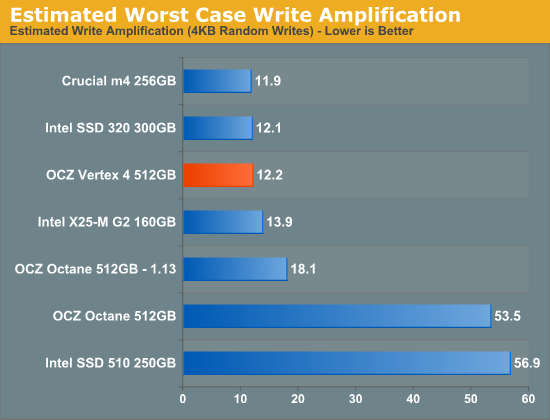 OCZ is able to equal SandForce's write speed on highly compressible data without resorting to any sort of data compression. This is a purely algorithmic advantage. While the original Everest was a work in progress by the time OCZ acquired the company, Everest 2 is the first Indilinx project OCZ had complete control over. Apparently OCZ's CEO, Ryan Petersen had a lot of his own input built into this design. "Ocz is the only one that actually got to the bottom of the bsod screen on sandforce."